Many children struggle with change and transitions. Drop-off at school or Grandma’s house, getting into the car for an outing, abandoning a favorite activity for bathtime…all of these things can be stress triggers. The good news is that building music into transitions can help smooth things out. Try introducing a favorite song during times of transition to set the mood. Want your child to relax? Play something calm. Does your child need to perk up and get moving? Play something lively! 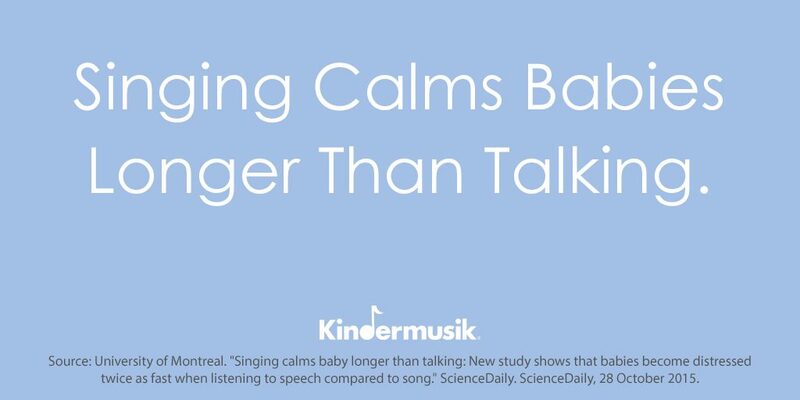 Music can also help define and communicate your expectations, so your child understands what’s about to happen and how he or she should respond. Sing “It’s time to take a bath,” or “It’s time to clean the toys” to the tune of “The Farmer in the Dell,” for example. When you choose music that’s familiar, predictable, and used routinely, your child feels calmed by the certainty and familiarity of it all. Another way to ensure calmer, happier days with your child is to help strengthen his or her self-regulation skills. Children who can self-regulate are able to remain calm and soothe themselves in stressful or frustrating situations, delay gratification, and adjust to unexpected changes. Self-regulated children wait their turn, share easily with others, and listen carefully. Sounds dreamy, right? Well, if you don’t feel like this perfectly describes your child, you’re not alone. Self-regulation develops gradually, across the years of early childhood, and it is definitely a process. The beginning stages of self-regulation are about impulse control, so the first step is understanding what it feels like to stop yourself from doing something. That’s where musical “stop-and-go” activities can help. Remember playing “Freeze Dance” as a kid? Everyone dances to music and then freezes in place when the music stops. Try this with your child. Sing or play music and let loose dancing together! Then stop the music abruptly to challenge your child to control the impulse to continue moving. In the ensuing silence, your child can literally feel themselves stop; they can feel that they are in control of their actions. This is such a fun and easy way to build important self-regulatory skills. Think about it: In order to play the game effectively, your child needs to focus, listen, and react to aural cues. These are the very things that help children develop attention and control—the building blocks of self-regulation. Even children who feel safe and secure and show good self-regulatory skills will occasionally have what we lovingly refer to as “meltdowns.” (And don’t we adults have them, too?) Music can be especially effective at easing everyone back into a better state of mind. And there’s a powerful brain theory behind this. Research has shown that listening to music lowers cortisol levels. Since cortisol is commonly known as the “stress hormone,” it follows that listening to music reduces stress. Scientists have also proven that listening to music increases dopamine. Dopamine is the neurotransmitter that is known as the “motivation molecule” because it leads to the type of feel-good moments you might experience when eating a favorite food or completing a physically satisfying workout. Feeling blue and out of chocolate? Turn on a song for a dose of mood-enhancing dopamine. So if your child is feeling stressed, frustrated, angry—any of the emotions that might lead to the dreaded meltdown—turn to music. It just might be the cure. 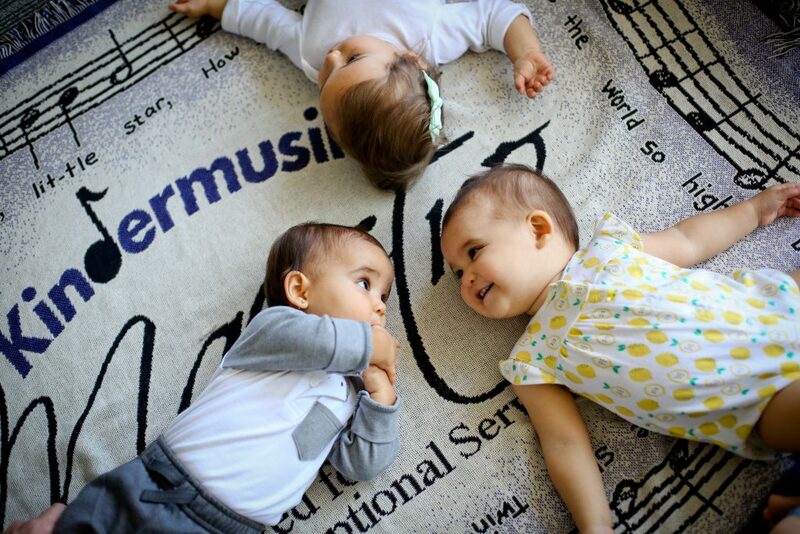 You can look for Kindermusik studios in your area on our website www.kindermusik.com. You might also explore some of our offerings in our online shop. The Case for Music, for example, is a perfect way to start making musical moments a part of your family routines for you and your Baby or Toddler. The post How to Calm an Upset Child with Music appeared first on Minds On Music - Kindermusik.